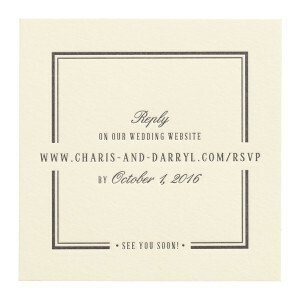 In an inverse palette of the Enclosure Card, the Lincoln RSVP Card is Yuling's modern take on a reply card and directs guests to respond via your wedding website. The piece is one-color letterpress printed single-sided on luxuriously thick cotton cover stock with a textured tactility. 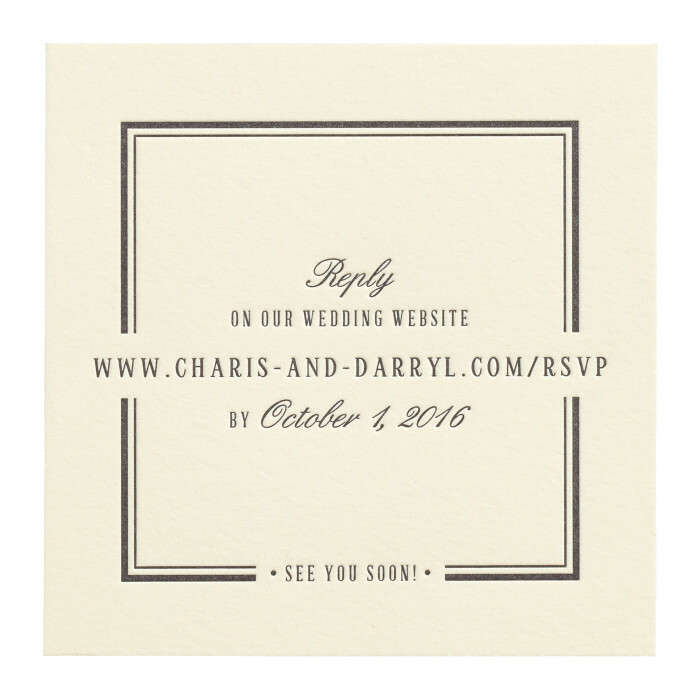 $896 for 100 two-color letterpress printed, or $629 for 100 one-color letterpress printed, or $366 for 100 flat printed RSVP Cards.